This group was set up to campaign for better cycling provision. We still want space4cycling, RoadJustice and other things, but we prefer going on rides to sitting in council offices. With such easy access to the countryside, can you blame us? It only takes 10 minutes to cycle from the town centre to between open fields, maybe on one of Britain's greatest countryside cycle routes. For the mountain-phobic cyclist this is your place: we do have hills but they are not very big. There is a lot of flat open fenland about, but add a few small lumps and the Royal Estate at Sandringham is just a few miles up the road, with routes onwards to the Norfolk coast and heathland. Rides normally start at 10 am outside the front door of Lynnsport, on the Sandringham Cycle Path, unless stated otherwise. Rides vary from a few miles round town to longer trips of forty miles plus. If in doubt, please start with one of the short rides and build up to the longer ones. Fear not, they are absolutely NOT a race. The pace is relaxed and stops are as frequent as necessary (or when thirsty!). There is usually at least an experienced rider guiding us from the front and another at the back of the group so no rider is left behind by mistake. Please don't worry that you'll slow us down because (usually) we're riding to see interesting things, not to set any speed records. This is cycle-tourism - it's to go places, not to go fast - and if pressed, we mumble 10mph as a guess at our speed. Some ride with us and with other local groups, so ask on a ride if you'd like suggestions of other types/speed of rides. Our rides are mostly on cycleways and quiet roads. On the few sections where we use busier roads, we'll usually form small bunches for safety in numbers. If you can control your bike well enough to ride to the start safely, that's probably good enough. Children are welcome if accompanied, but please be realistic about how far they'll want to ride. We have some safety policies in place. Except for some sort of cycle and yourself, no particular equipment is required. Whether you ride a mountain bike, hybrid, commuter, racer, folding, tricycle, recumbent, tandem, fixed single-speed... anything goes and often has! Most riders bring some sort of bag (often attached to the bike) with a bit of food and drink for longer rides, a basic puncture repair and tool kit, but it's really up to you. Riders are generally kind and help if they can. BUG volunteers are actively involved in promoting the interests of cyclists, and in lobbying for improved cycling infrastructure. We co-produce a map of areas where we would like to see improvements, we're a CycleNation local group and our two main campaigns are for space4cycling and Road Justice - please sign up with those campaigns if you haven't already. 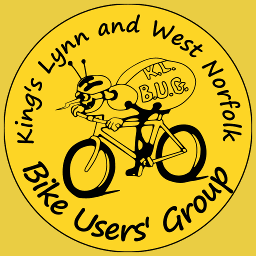 Terms of reference: "KLWNBUG has formed to improve the facilities for cyclists and to promote cycling as transport wherever possible. The BUG will meet monthly and have the ability to set up working groups when specific needs arise. The BUG has a treasurer who will inform other members when funds need to be raised to pay for running costs, such as for the production and distribution of the newsletter." To join us is very simple. Just meet us at Lynnsport on one of the rides or email Trev at: trevorriches@talktalk.net or Pete at: peteayton@gmail.com Do not worry about costs, we keep them to a minimum (at the moment, we ask for donations occasionally, rather than a subscription), and should your cycling abilities be a bit lacking then likewise DO NOT let that put you off. There is no need to have an expensive tourer or racing bike, we have riders on commuter and shopper type bikes as well as some on racing bikes. I have recently seen the plans for the new housing estate and access road at Lynnsport and Marsh Lane. 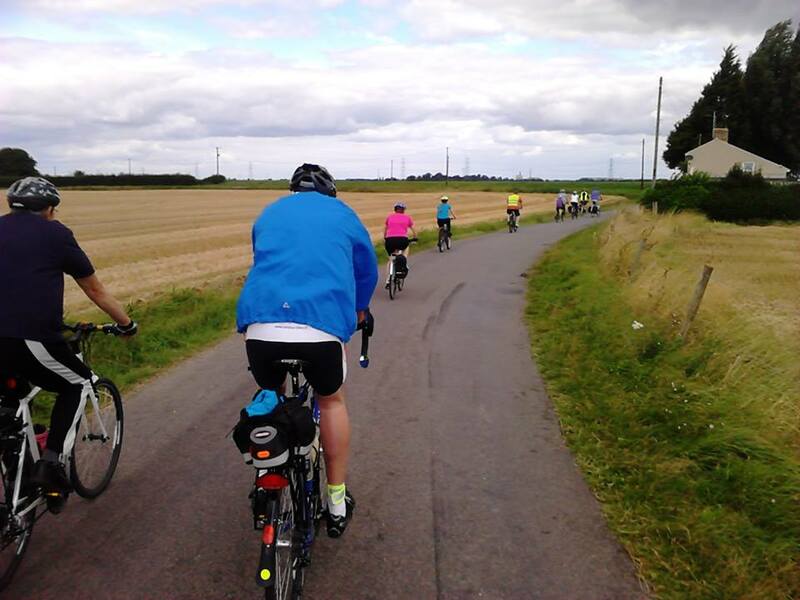 The new road follows the route from Edward Benefer Road to Lynnsport along the old railway cycle way. Are you aware this and if so do you know yet if the cycle path will be kept open during the development and will there be a cycle path along the new road? As far as we know, the cycle path will be kept open during the development and there not be a cycle path along most of the new road but the current routes will remain open, with new junctions to cross the new roads.